While recovering from the pain and confusion of being laid-off as a full-time youth pastor in November 2011, I worked for my friend’s marketing company for a week. 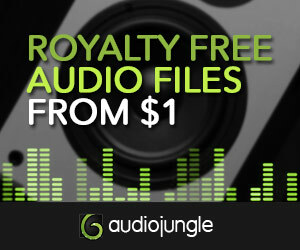 While there, I learned about the world of stock royalty-free music through the hottest-selling royalty-free music marketplace, AudioJungle.net. My dad has been a composer my whole life. However, his realm is church choral and piano music, and writes with notes and staves. I had been creating music with MIDI since the early days of FruityLoops, but, only until recently, had no outlet for my music. MIDI allowed music to be “created” on a computer, as opposed to “written.” And with the quickly developing MIDI technology over the last decade especially, music created on a computer began to not sound so fake. In fact, it began to sound very real. A grand orchestral production that involved days in an expensive studio, requiring the hiring of professional musicians that could cost thousands of dollars, could now be emulated by a kid with a good ear in his basement. I began uploading my music on AudioJungle and saw some success. Around the same time, my wife and I began regularly attending a new church. My first Sunday morning of playing drums at this church, the sound engineer spoke into my in-ear monitors saying, “Phil, you don’t know me but I’ve bought some of your music on AudioJungle.” I was excited to meet Dave, who co-owned a video production company that, after a few meetings, I moved in with and started working along-side. They invested in better MIDI sound libraries, and, along with my own music, I began composing for them and their clients as well. I’m excited to say I’ve found a way to compose full-time and earn enough to justify to continue to pursue it. I’m living my dream as a modern composer and am learning how to evolve with the changing face of music composition. However, I’m still relatively new at this. Though royalty-free stock audio industry is still pretty new, there are composers who have been a part of this industry for the last six years or so. I still have a lot to learn. I hope you’ll join me on this journey as I try to uncover and highlight this ever-changing face of modern-day music composition. Subscribe on the right and join the journey!